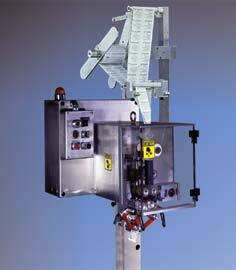 The CD-2000 Coupon Dispenser is manufactured by GGA Packaging. The CD-2000 Coupon Dispenser uses preprinted roll coupon stock to dispense coupons at speeds up to 225 coupons per minute. Web widths up to 6" can be accommodated. Coupons can be dispensed as flat sheets or folded along their width.